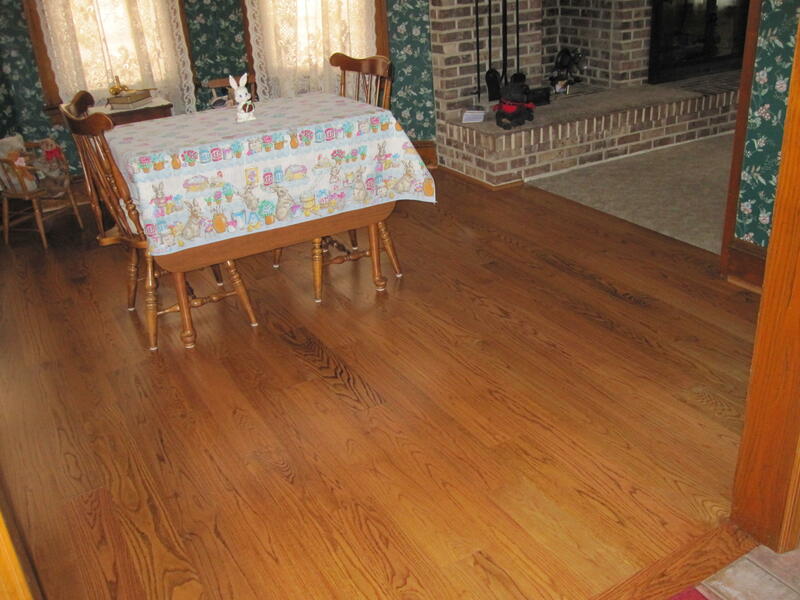 Installed 3/4″ x 5″ red oak plank floor in dining room with built in red oak vent & oak quarter round. 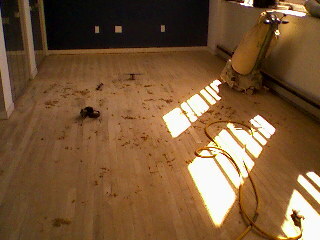 Sanded, stained “Nutmeg” & 3 coats waterbase satin urethane. Random with 5/16″ beveled edged eucalyptus w/dowels butts up to 5/16″ x 2″ oak. We installed a “header board” where the two floors met. was stained GOLDEN BROWN with 5 coats of satin waterbase urethane. 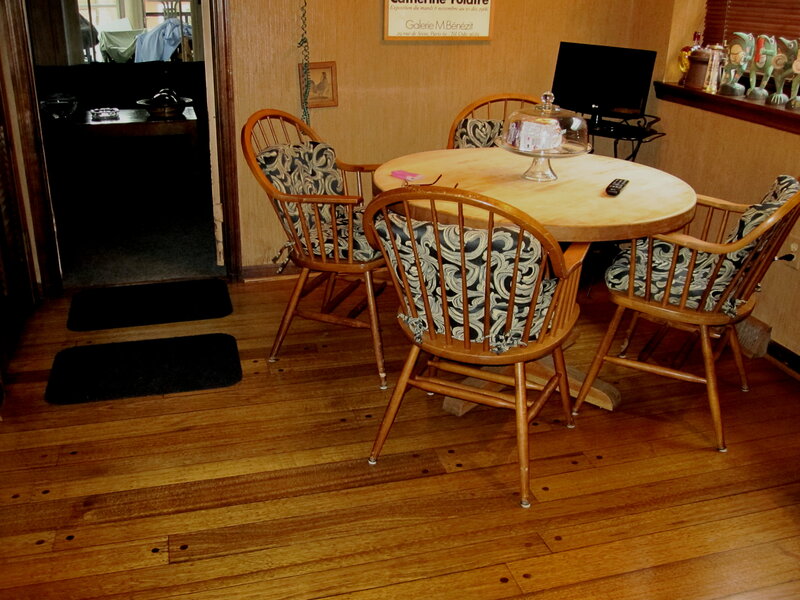 We sanded then stained oak GOLDEN BROWN with 5 coats satin waterbase. 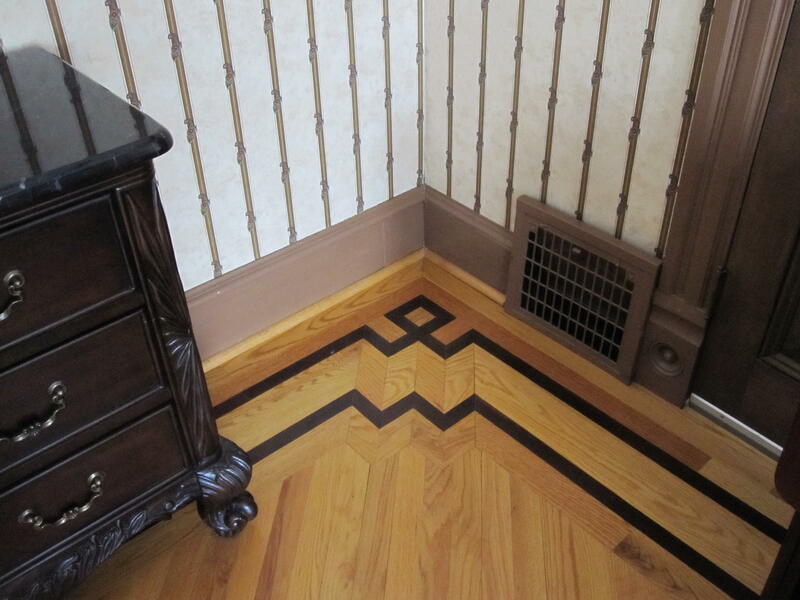 We also installed oak shoe molding stained to match the oak floors. 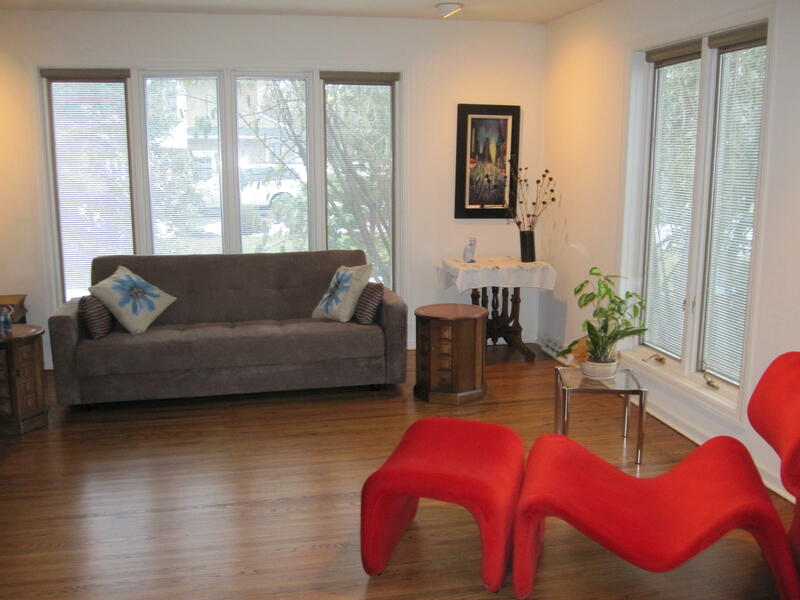 to match existing oak floors then 5 coats of satin urethane were applied. 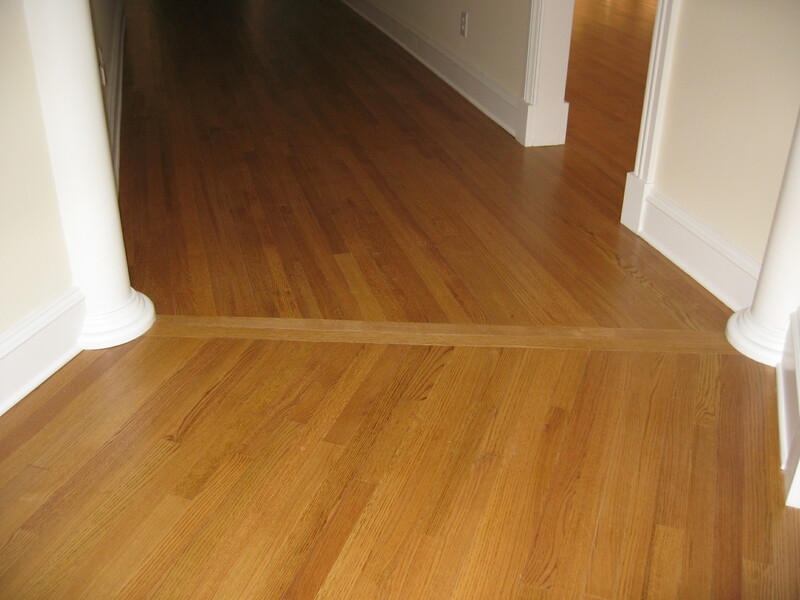 One Inch Thick Maple Flooring In Philadelphia, Pa. 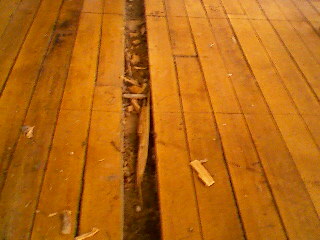 Packed up sleepers on concrete floor to help level out maple boards. 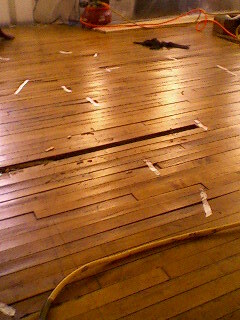 Floors sanded and maple filler applied between the cracks of maple boards to make the floor look aesthetically pleasing to the eye. 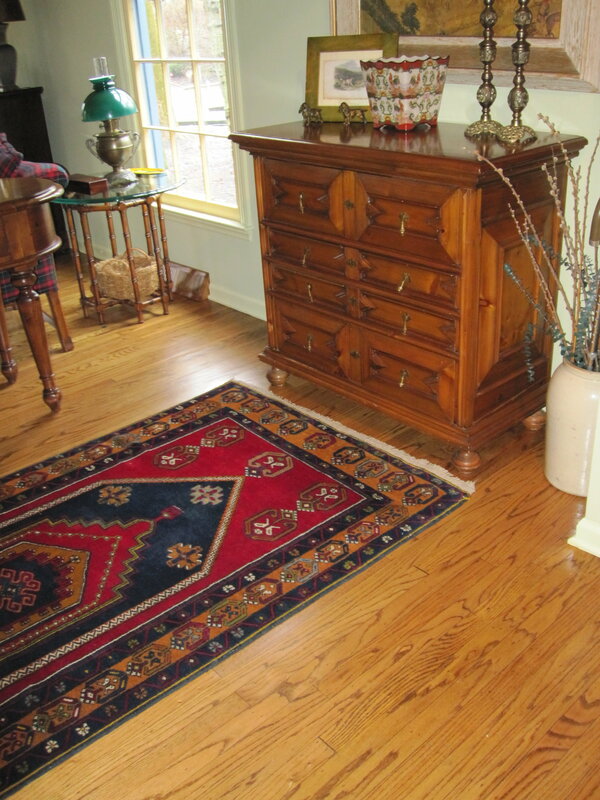 Installed 3/4″ x 2-1/4″ Select Red Oak floor with a 6′ Brazilian Cherry Medallion. Sanded & 3 coats waterbase urethane. 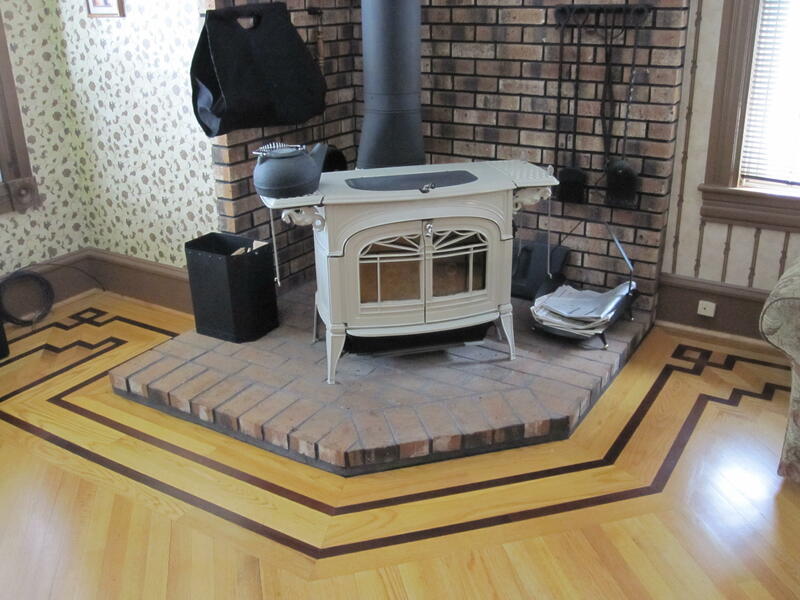 Installed 3/4″ x 2-1/4″ Rift & Quartered red oak floor with double 3/4″ x 1-1/2″ Peruvian Walnut feature strips with 3 dimensional feature strips in corners. 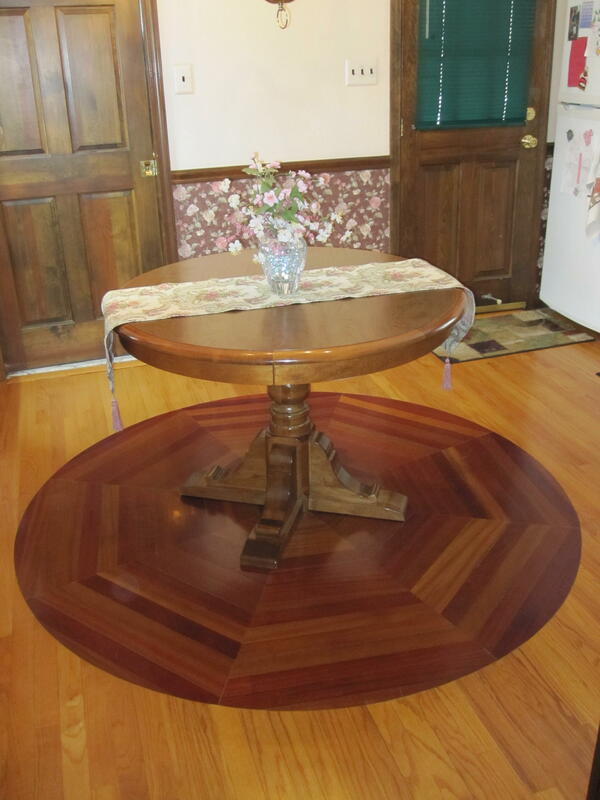 Installed double 3 dimensional 3/4″ x 1-1/2″ T & G Peruvian Walnut feature strips with the field (center of room) having 3/4″ x 2-1/4″ Rift & Quartered red oak installed on a 45 degree angle with 3 coats of satin waterbase urethane. 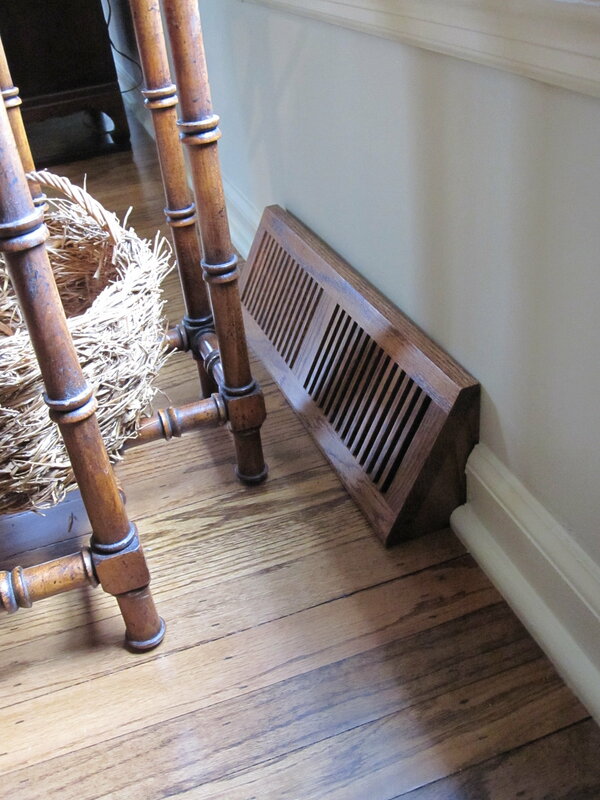 Installed custom made 3/4″ thick red oak cold air return in living room. 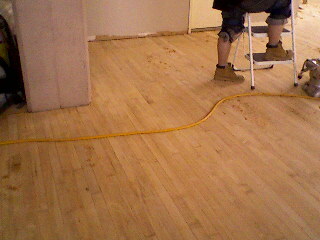 Floor sanded & 3 coats satin waterbase urethane. Installed 3/4″ x 2-1/4″ Rift & Quartered red oak flooring on a 45 degree angle with 3/4″ x 1-1/2″ T & G (tongue & groove) Peruvian Walnut feature strips with reverse ribbons in corners. 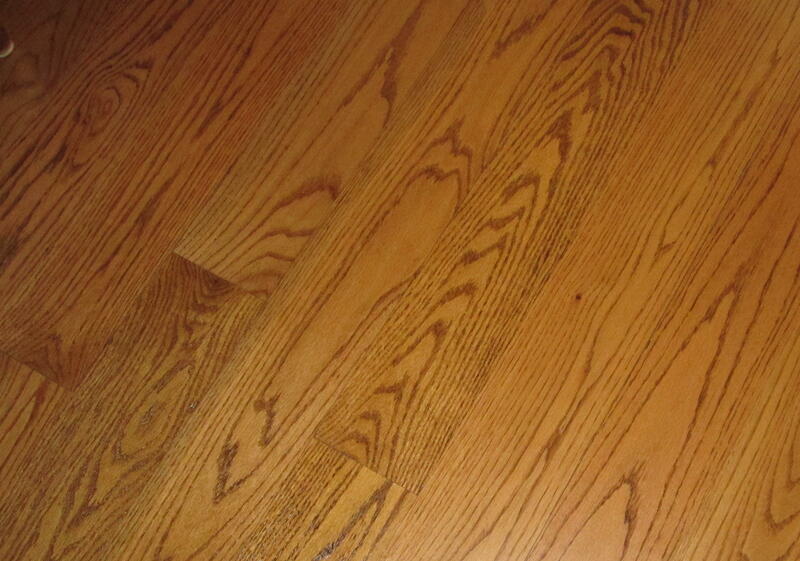 New installation of 3/4 ” x 2- 1/4 ” Rift and Quartered red oak hardwood flooring in Wildwood, NJ . 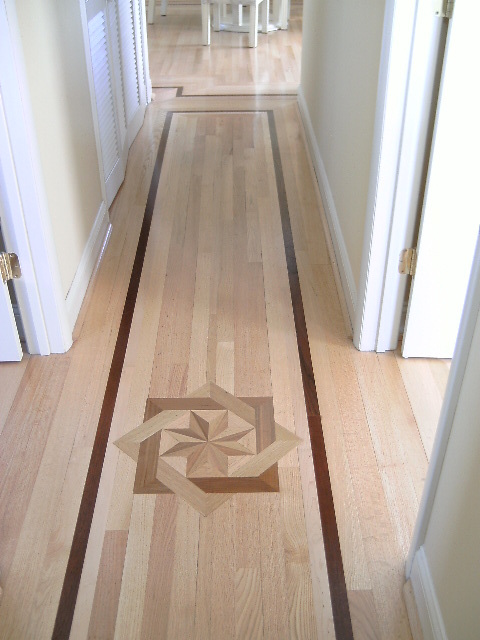 This custom inlay has 3/4″ x 1 1/2 ” tongue and groove maple and Peruvian Walnut feature strips and a custom medallion. 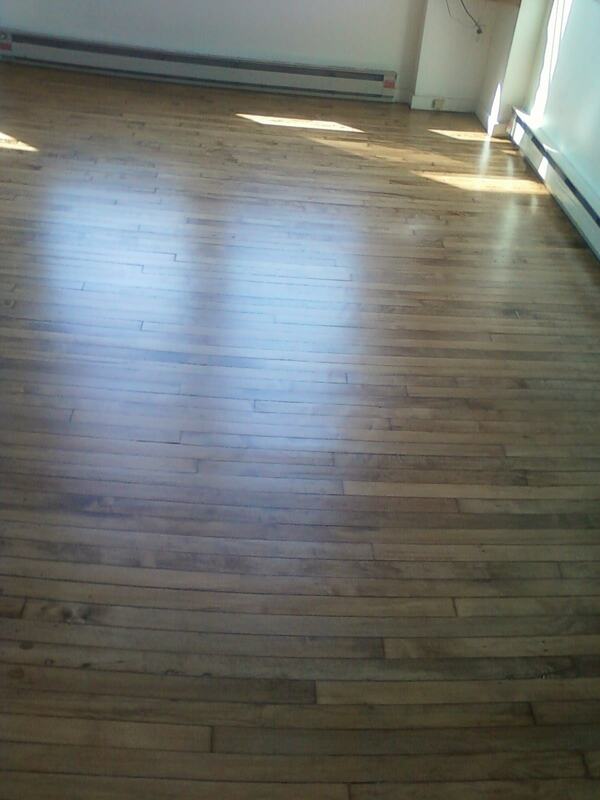 Floors were sanded and left natural with three coats of gloss waterbase urethane. 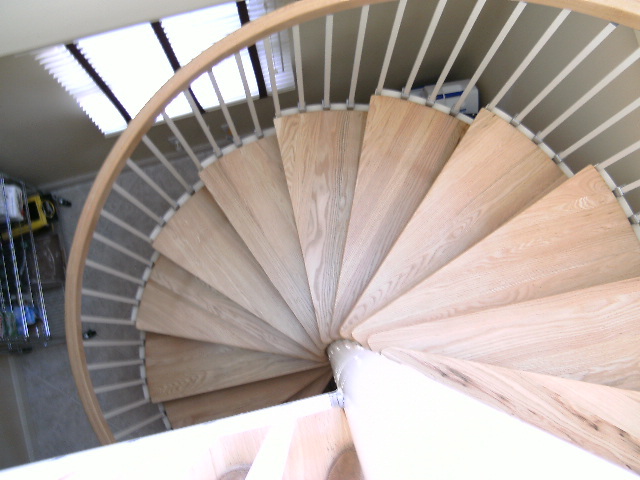 Spiral staircase has red oak treads and red oak handrails. 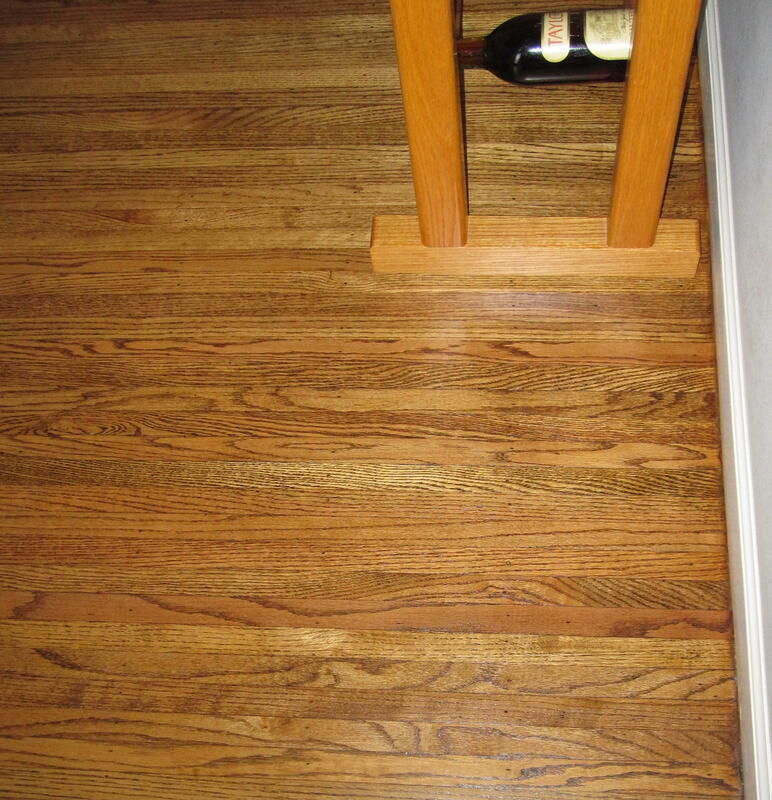 Rift and Quartered red oak was chosen because of the high humidity levels at the shore. Waterbase urethane does not amber (yellow) like oil base urethane. 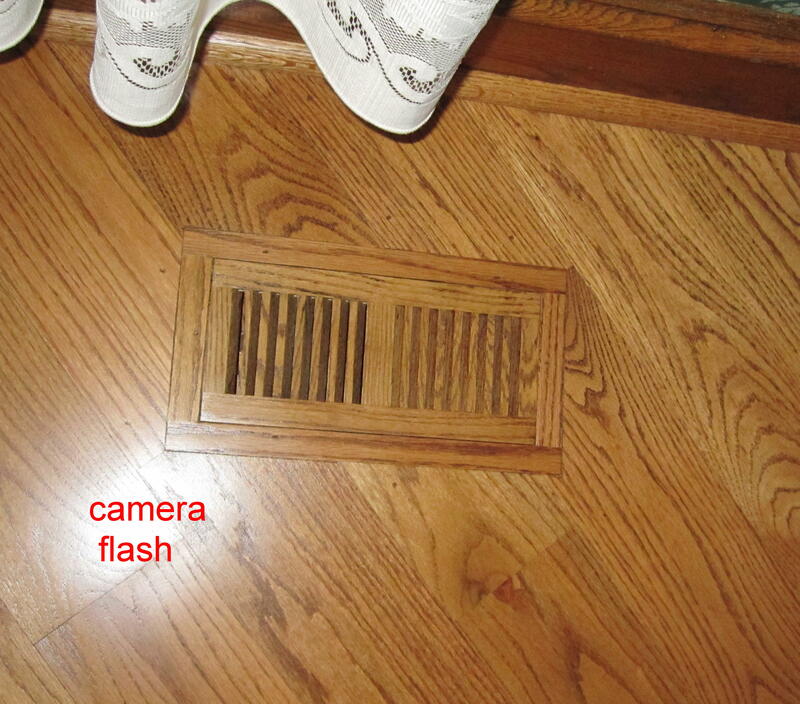 Installed unfinished 3/4″ x2-1/4″ Rift and Quartered red oak over radiant heat . Rift & Quartered red oak is when the grain is straight. 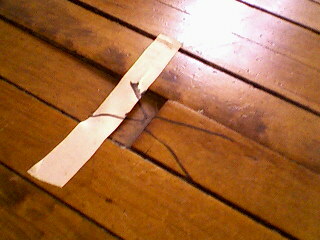 There is very little movement in this type of wood. 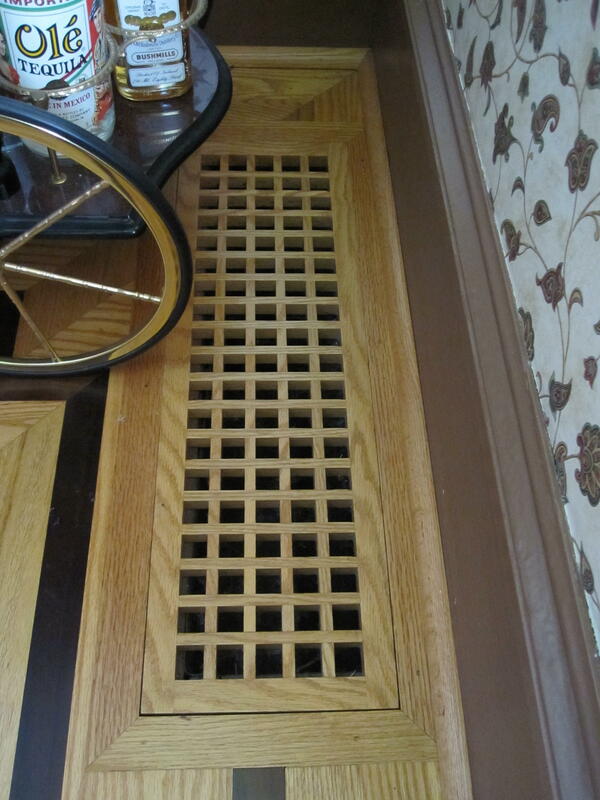 Very good for down at the shore and also for radiant heat. 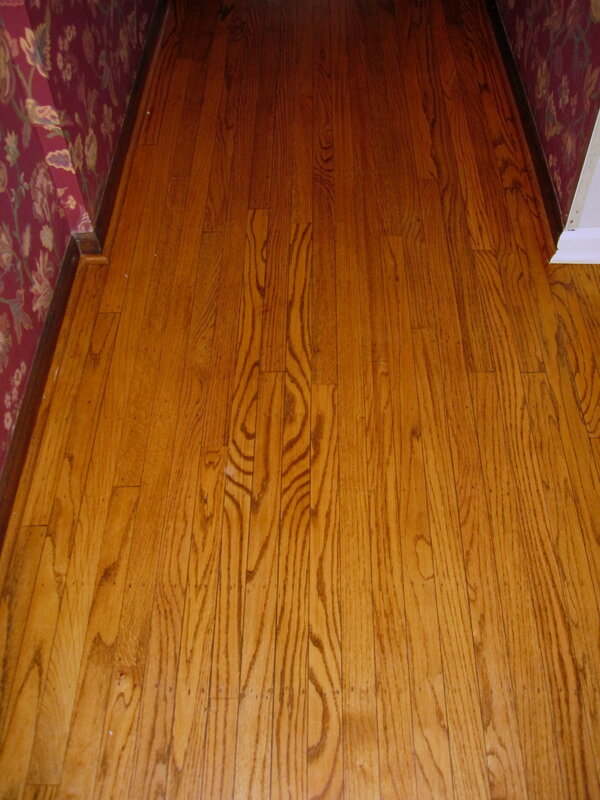 Better to go with a narrower wood than a wider board to avoid cupping of wood and wide cracks caused by humidity. 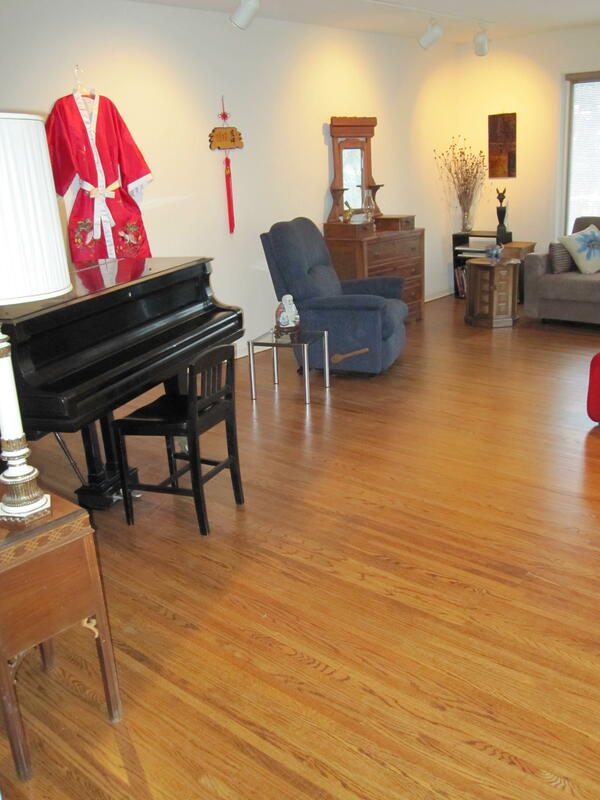 These floors were stained golden oak and 3 coats waterbase satin urethane applied. 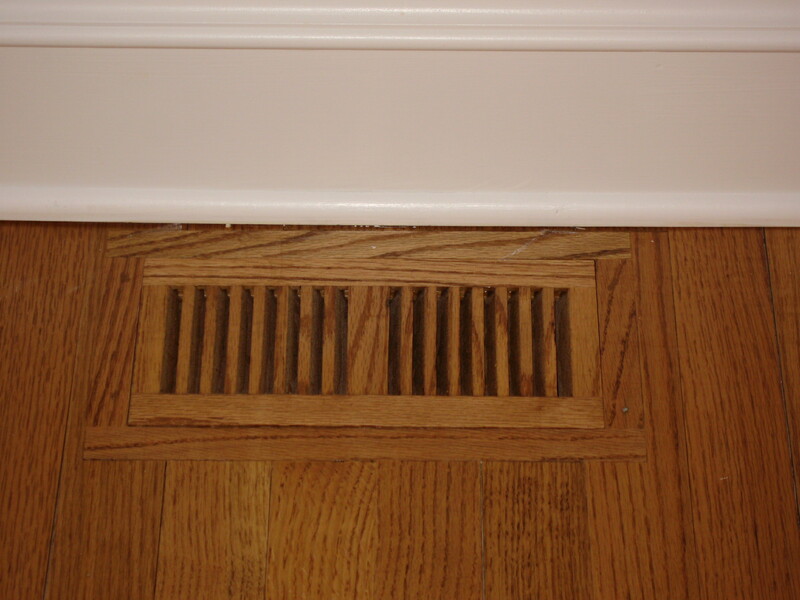 Built in oak vents were also installed on this job. 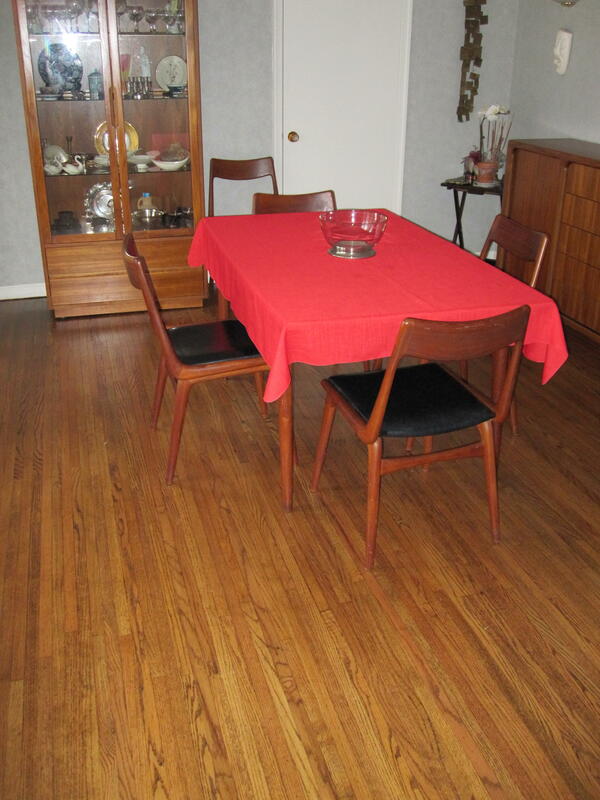 Our staff refinished this oak hardwood floor in a Moorestown home which had 5/16″ x 1-3/8″ select red oak floors. 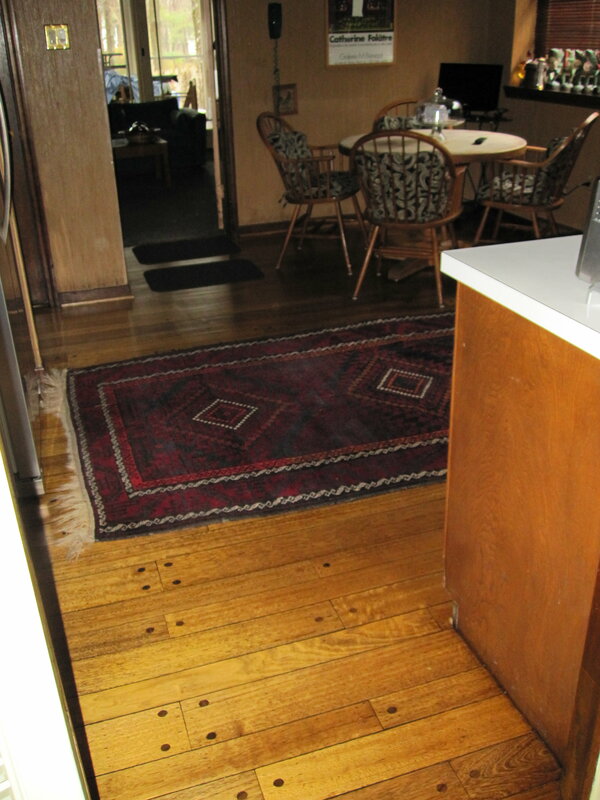 They were stained GOLDEN BROWN with 3 coats waterbase urethane. This floor was sanded with 3 different grits of sandpaper then we square buffed the entire floor which eliminates a possible “picture frame” around the perimeter of the room which is caused by using two different required types of sanding equipment. 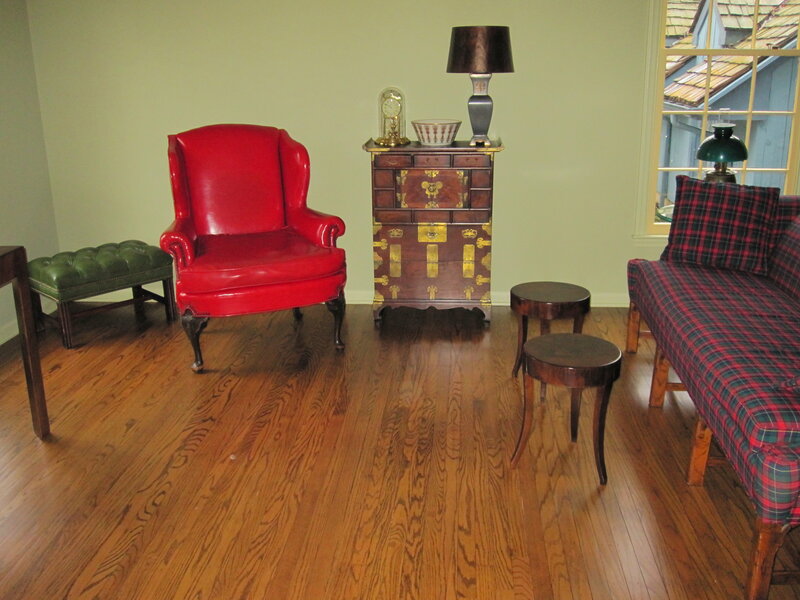 Victorian Floor Finishing, Inc. provides the highest level of quality and workmanship to meet all of your hardwood floor finishing needs. 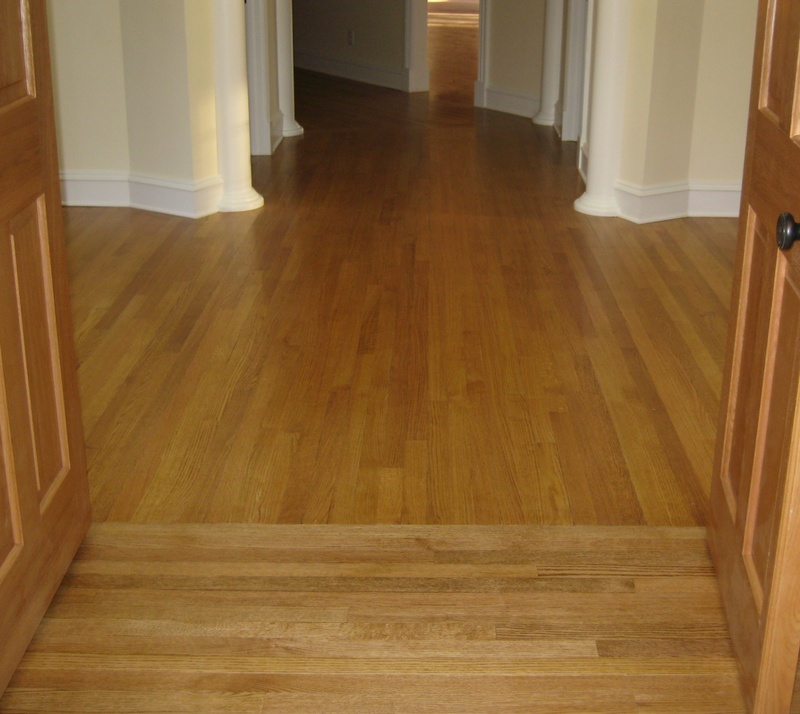 We use only the best hardwood and refinishing products in the industry to ensure the best results possible. 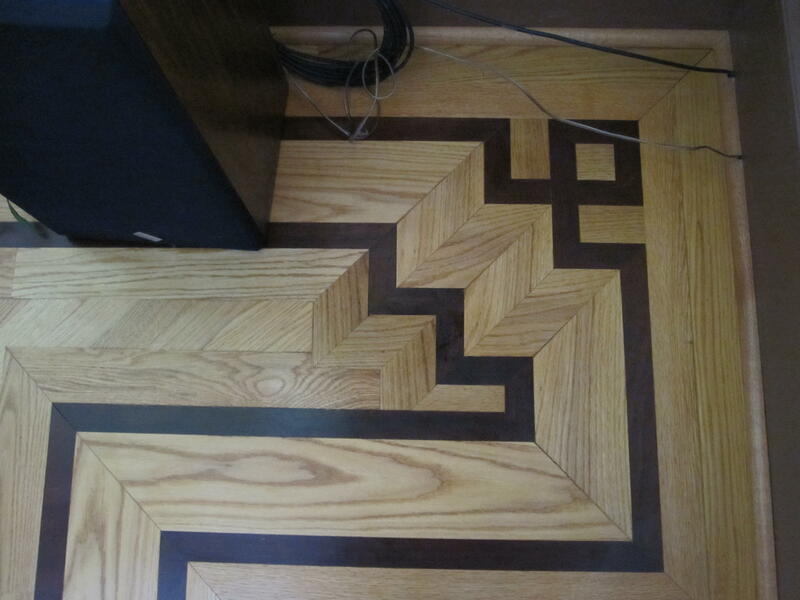 Our Company offers a myriad of hardwoods, trims, custom borders and medallions to satisfy even the most dynamic hardwood floor finishing requests. 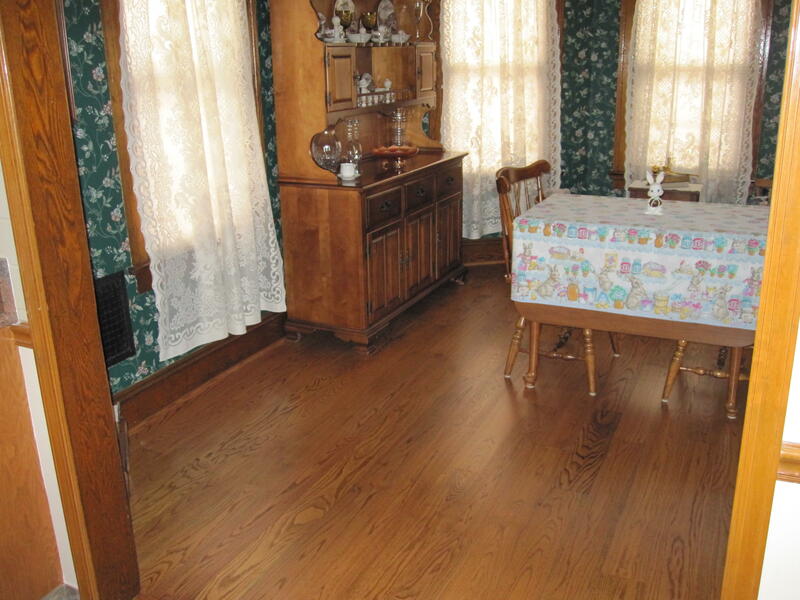 This website offers a small sampling of what is possible when you rely on Victorian Floor Finishing to meet your hardwood floor finishing needs. 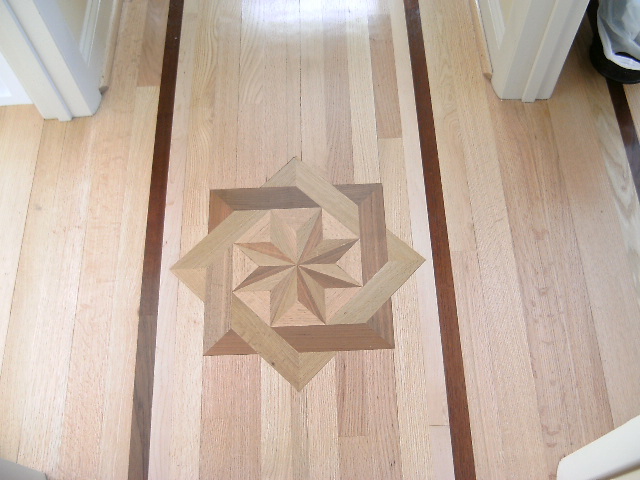 They have the expertise and resources to make any hardwood floor come to life!